Ola Sweeties! Its awesome inspiration time of the day! 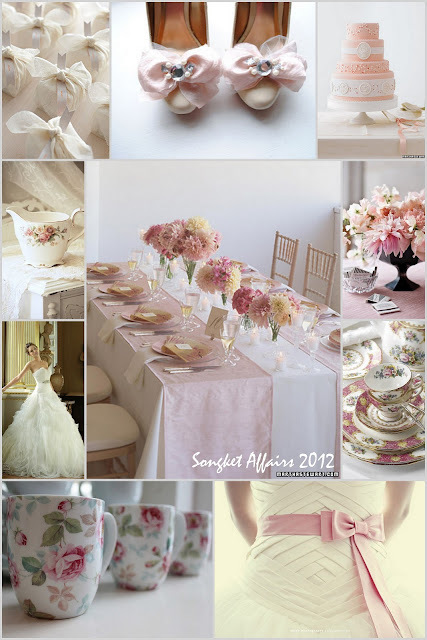 We loves fresh & new & ideas for all kinds of weddings affairs and we welcome all ideas from all of you fans out there. And thanks to your feedback - we love to give you more and more new ideas each week! 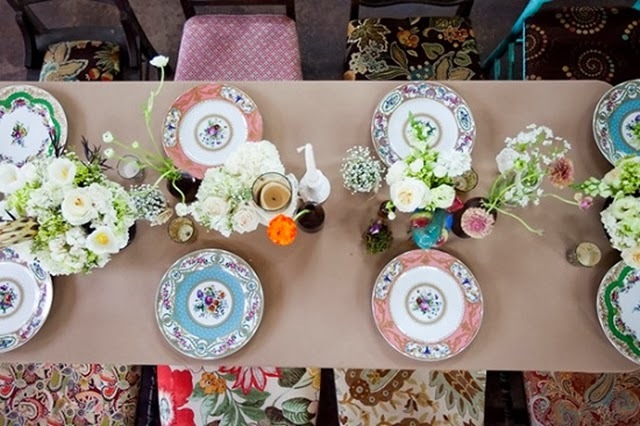 For today's inspiration - we're in the mood of floral french vintage. Let's look at this board, we opt for clean palette (somehow ivorish, vanila, pale muted colors) seems like a trend these days. Its breathtaking and full of mystery. 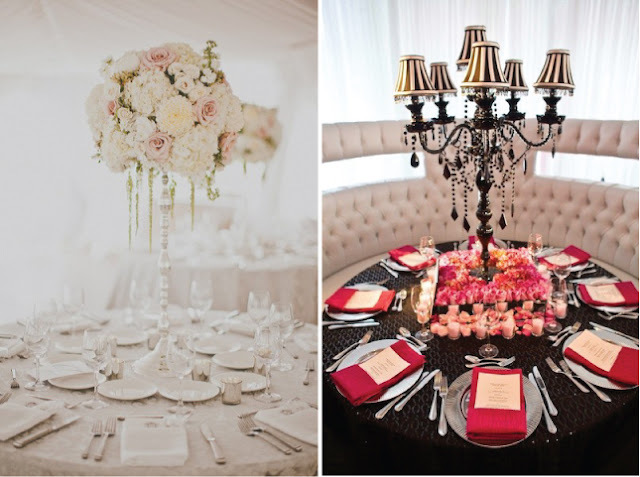 A touch of classicness in the present wedding day gives an elegant affair. Perhaps, now we can really make use of those grandma's antique english setting and mum's Queen Anne's silver.. and for malay brides' silver trays are epic classic! Hello loves! Hows the week so far? We're super happy with the return of Creatives Tuesdays! 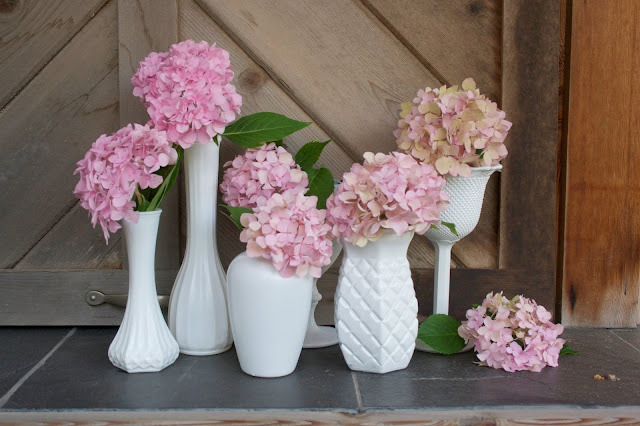 And this week we want to share with you (Thanks to Wedding Chicks) on how to custom make your own rustic bouquet - which is just not ordinary bouquet- a Hydrangea one! 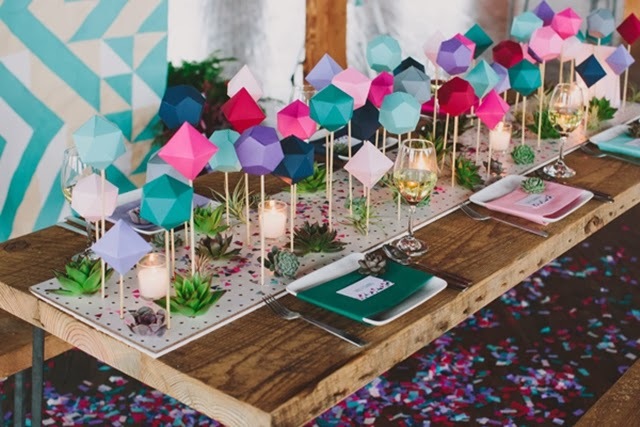 So, for this posting, we're psyched that the photographer, Jaimee Morse, worked together with the bride to get instructions to DIY these yourself. All you need are a few simple supplies. Let's begin! Helo loves! Another week at the edge of February month. And suprisingly we're almost at the end of 2012 first' quarter! 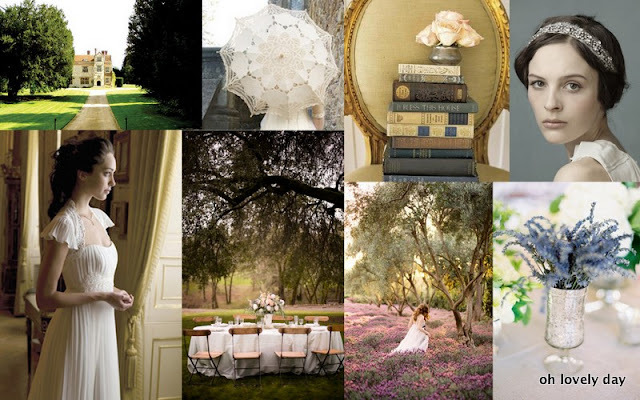 For this inspiration, did you brides, ladies grew up with Jane Austen? She's amongst the famous English romance noveliest during our teenage years. Her romance idealism was adapted into many of her famous novels such as Sense & Sensibility, Pride & Prejudice, Emma etc. To the fact, hollywood had instill them into movies. 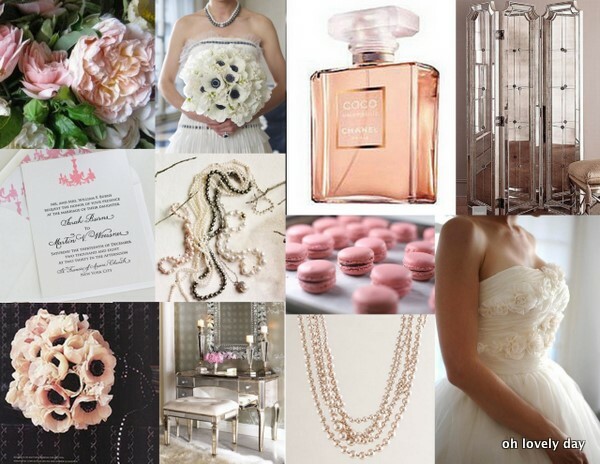 Her romance ideas are always filled with the ever-famous English gardens of roses & lavender, the ultimate proper white feminine gowns, the romantic sways and updos and the laces fashionable wear. Basically if you're a fan of hers'- you can incoporate a Jane Austen inspiration. Who would appreciate more than us, having old classic books or antique teacups as your decor to add to the vintage feel? 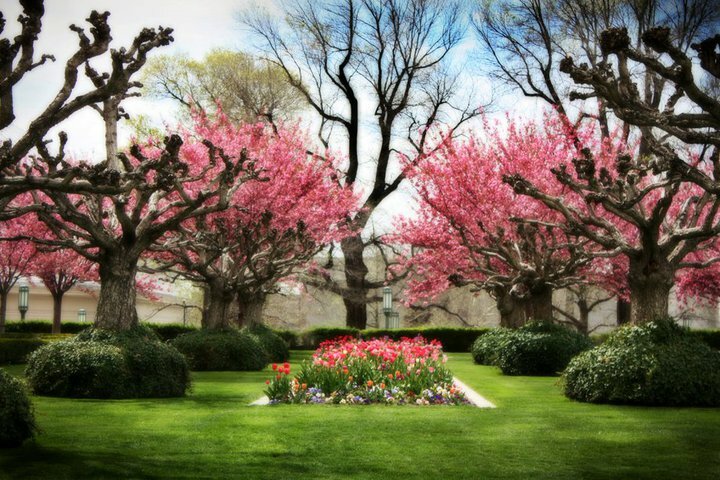 Certainly we don't have to live in England or have access to an English manor, instead we can be inspired by creating a backyard garden wedding into one fit for a duchess or queen! Ola lovelies! Hows the weekend going? We hope you are havin an awesome one. Since the weather has been raining off/on, somehow the misty atmosphere draw us back to the classic era- where haircombs, brooch hairpieces was huge wedding accesories favorites of the brides and lacey lace was a bridal fashion that never fade. 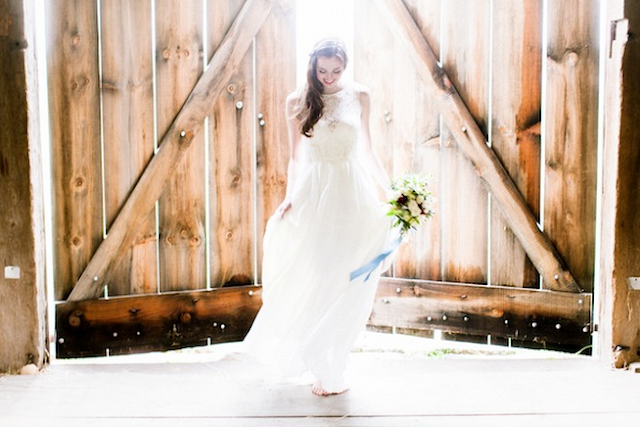 That is why we fell in lovely instantly with this gorgeous "Long Honeysuckle Dress." Hello loves! Yippie-- weekend has returned and lets make this 2 days a great one! For this board - we want to credit Oh lovely day for their fabulous collaboration board. These were credited from Style me Pretty, from the awesome talent of Jasmine Star through the success vintage Chanel inspired bridal shower shoot. What amazes us most is how perfectly elegant this board has become. 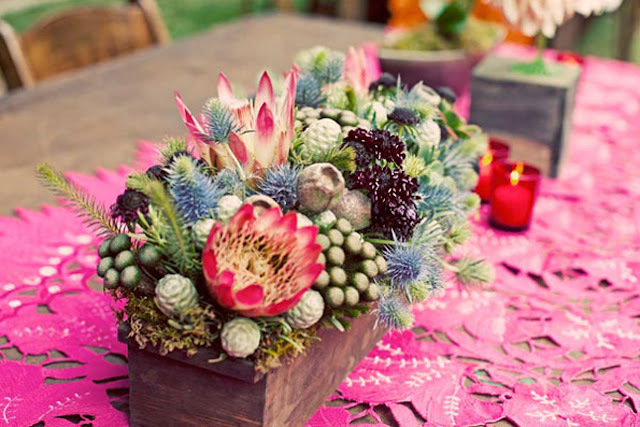 The pearls, the pink palettes and the peonies and poppies floral arrangement absolutely agree with us. Wow wow. 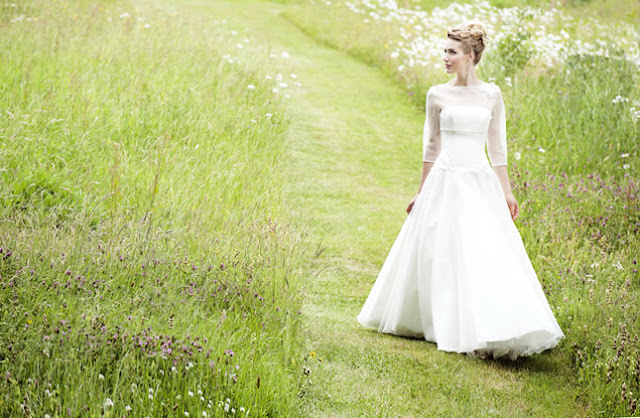 These elegant wedding dresses are really really gorgeous! We can't stop starring at these lovelies from head to toe... again and again..Give designer Caroline Castigliano a round of applause for her brilliant pieces in this Oscar Collection. They're all about elegance, classy and sophisticated altogether. Perfectly in french Chantilly lace embellishments over a pure silk duchess satin corset and dramatic circular silk organza skirt. Credits to Wedding Inspirasi for these wonderful pieces. So brides to be's, hopefully you'll get super inspired with these super classy gowns that definitely will make you the queen of the night. Hi sweets! Hows the thursdays goin? Dont fret - one more day and yay its another weekend! So, here's another inspiration for the day - hope to ease those with the bluuues. 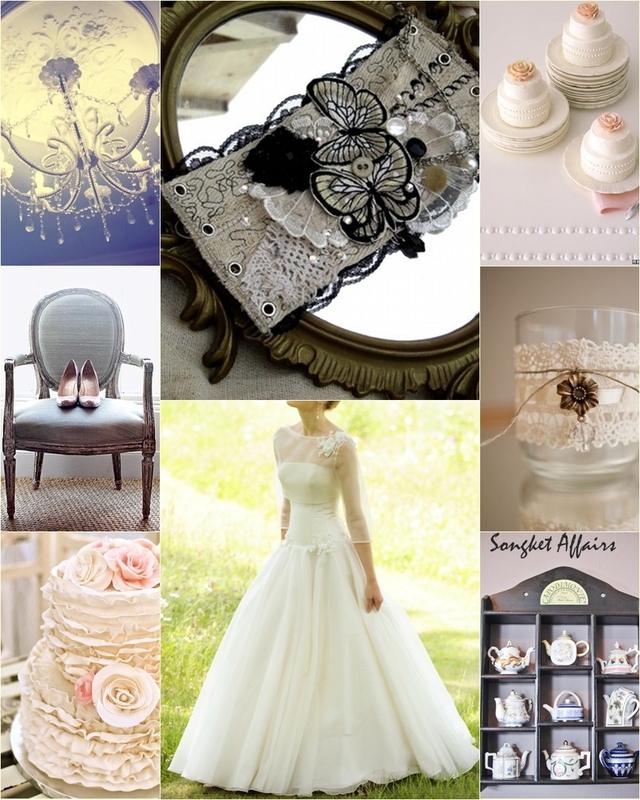 Today's inspire board - we want to feature something dramatic yet classic. We know how much flowers can give effect for a wedding. 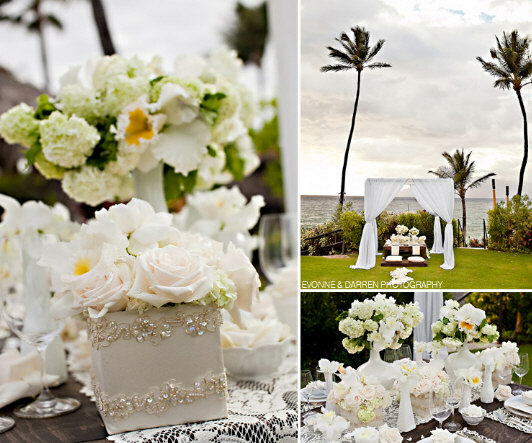 Especially the oversized; gigantic ones - enough to make a full brides' statement right? So, this time we incoporate them with laces and the scrumptious mini cakes from Martha Stewart. And of course the inspiration of the ever beautiful Kathryn in her vintage gown, perhaps enough to make one dramatic wedding! Ola loves! Yippie Lovely heelsdays are back.. and more hot stuff coming up. Today's posting is the second series of lastweek's Glamour Girl; which brings more sequins and rhinestones embellishments on today's heels. 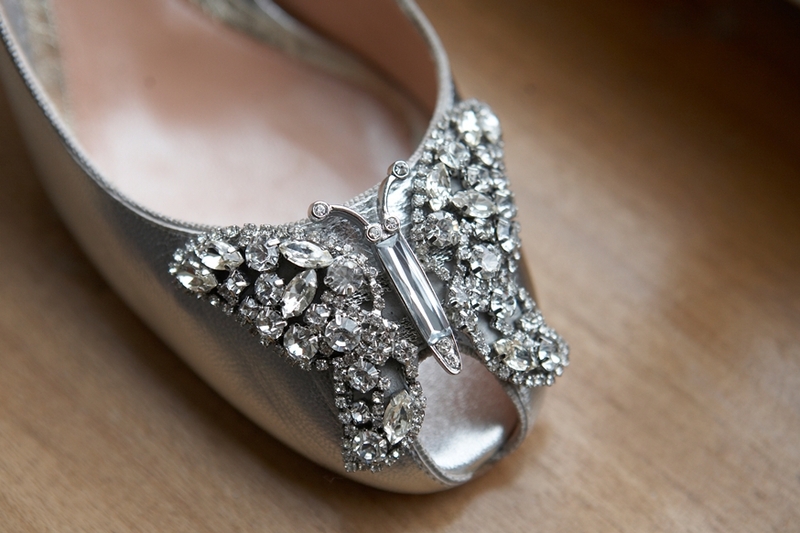 Who says a bride has to be all conventional white shoes? 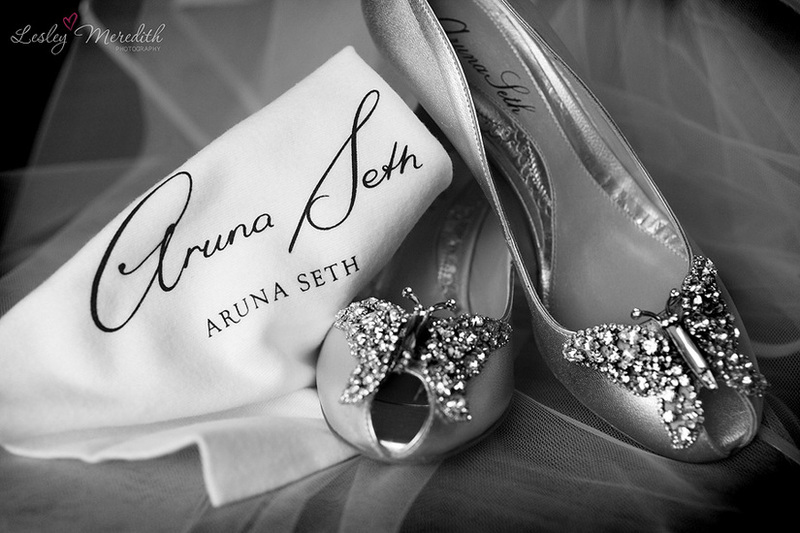 A fabulous bride would dare to be different :) Let's shine up the feet ladies! Helo loves! hows the week going? We hope you guys having a sunshine week! Us too! 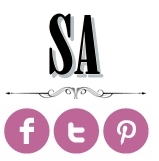 Yesterday we had some chats with some of you wedding vendors out-there quering about your services- and we were so overwhelmed with your responses & feedback! Auwww... you guyss so sweet.Thank you dearies for supporting us and following us... We heart all each of you.. :) We welcome any feedback & improvement ideas for our betterment. 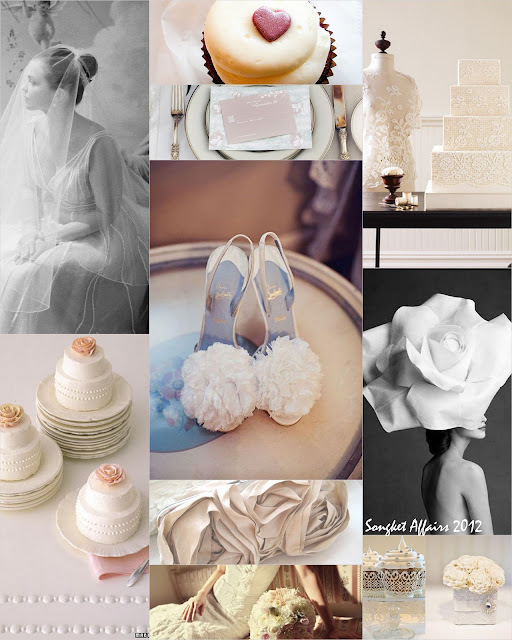 Keep it comin' <3 Back to today's Inspire-board- since we're in a lovey dovey mood; we want to bring you more ribbons & flowery inspired palette. 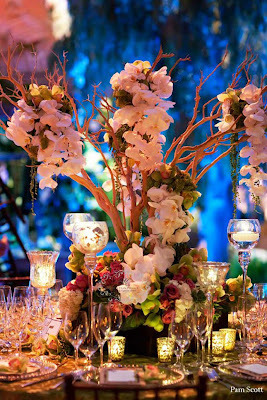 For those who looooves the English style, add up touches of spring colors, extravagant setting and a flair of ribbons - giving a fabulous wedding do for any season! "Few is the number who think with their own minds and feel with their own hearts." Helo sweeties! We're so glad our DIY Creatives are back and we have some super sweet treats for all you! 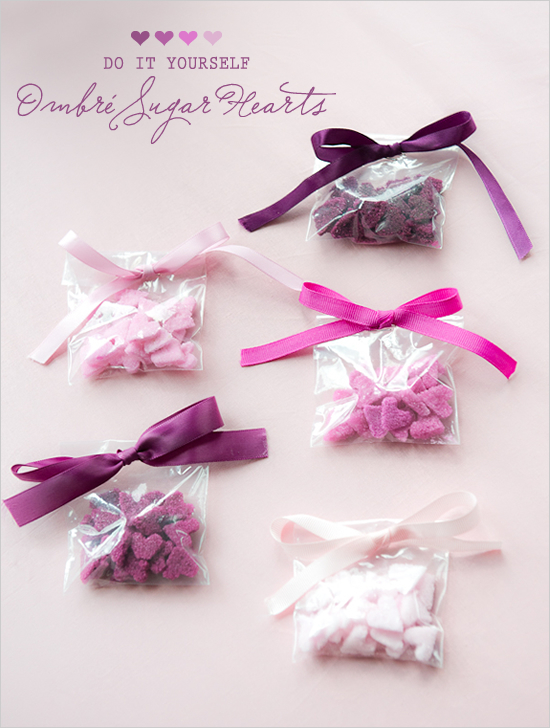 For those of you DIY fans, this week we want to share with you these awesome fabulous Sugary hearts! Credits to Wedding Chicks for featuring these homemade with loves by Erica O’Brien Cake Design and Brooke Allison Photography. These loveys have created these super awesome decor which can be easily used in any events for wedding favors, or perhaps as a special surprise for your sweetie on Valentine’s Day or even decor for the cutest wedding cake in the world. Morning loves! Yippie Its a fresh new week!... We hope you guys have rested well last weekend. This week, we're so femininely inspired. Thanks to EA Designs, this board is specially made for those who have the hots for sweet color combination of tiffany blue and baby pink. Who knew they're opposite palettes that work flawlessly in a sophisticated manner. Classic and timeless, this is very much perfect for the romantics to-be's at heart and nonetheless perfect too for a wedding brunch or pretty bridal shower! Ola sweeties! Hows the weekend goin? Hope u guys having a peachy peach weekend weather there. For us, it was not so much - was more of a wet weekend :) We're glad Vintage Weekends are back! Today we'd love to feature Fancy Treats from the Retro era or those influenced treats from that era. 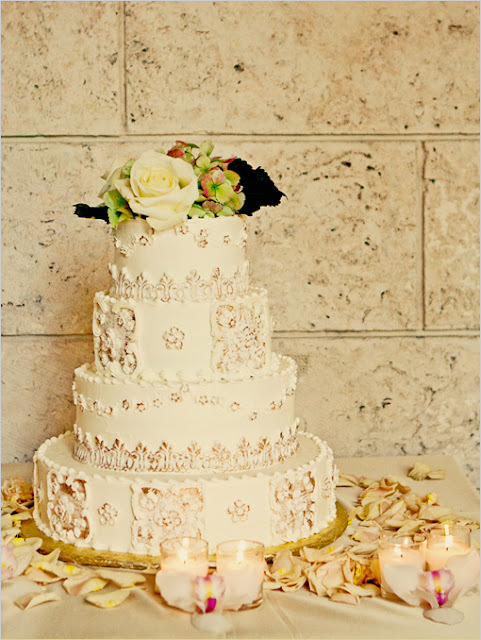 Lately, extravagant wedding cakes display seems like a MUST haves in weddings nowadays (compared to the taste). A vintage cake topper can be a wonderful addition to a modern wedding cake. Picking the perfect one is also a lot of fun. Whether you are sentimental, whimsical, or elegant, there is a vintage wedding cake topper that would be just perfect for your wedding cake. 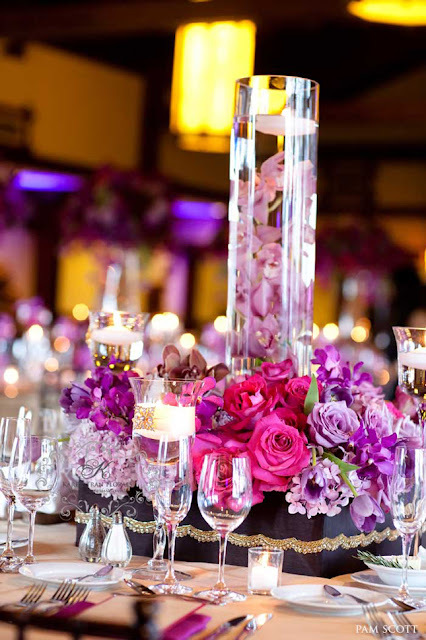 The topper that you select are the focal points of your wedding reception. More and more brides are turning to the classic vintage wedding cake toppers to give their cakes that little extra something special. To help you find the perfect piece, this is what you should know about vintage wedding cake toppers. 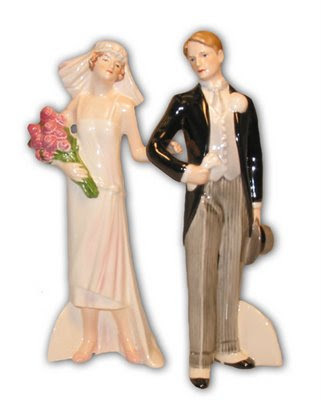 If you are lucky, you will have a vintage cake topper someplace in your family. 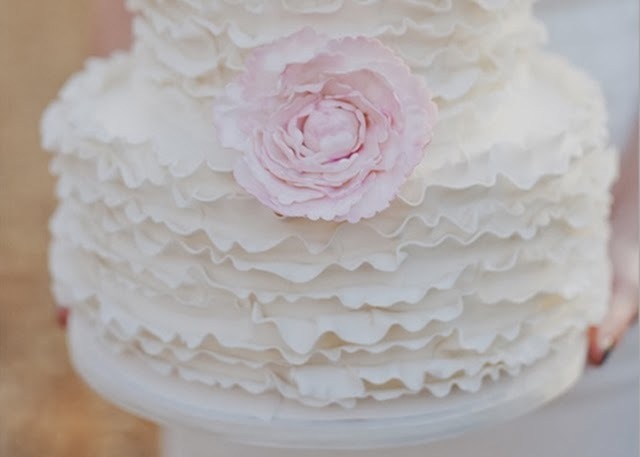 Using the same decoration on your wedding cake as your parents did on theirs would be a very sweet detail that would make your cake more meaningful. If your parents do not have their cake topper, be sure to ask around in the rest of your family. You might just find that your aunty has your grandmother’s vintage topper tucked away in a box in her attic just waiting for you. Hi loves! T.G.I.F! Its good to have Fab friday's back. So for today's posting - we want to indulge you with the common mistakes most couples to-be's do when planning their wedding. Even the smartest, most on-top-of-things couple can also make mistakes during these crucial times if not planned well from the beginning. 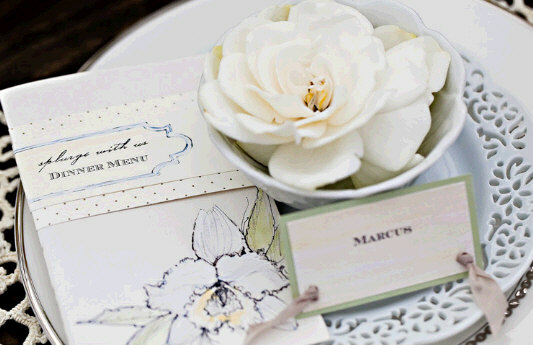 Here are the 10 things you should keep an eye on before saying I do. 1. Blowing off your wedding budget. For the fact we all know it costs a lot of money to throw a wedding. Many times, excited brides start booking vendors and making purchases without having a real budget and then are shocked to discover they've already spent all of their money (or parents' money) and don't yet have half the things they need. Brides to be; take note: if you bounce checks or don't have the money to pay your deposits or make your final payments on the wedding day, your wedding will not happen. Most type vendors such as the band, makeup artiste etc is not going to perform if you don't pay. Planning a wedding is serious business. 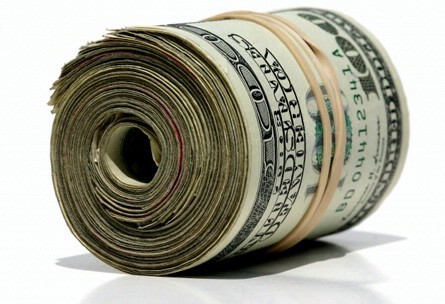 Make a budget and keep track of your expenditures so you won't be walking naked down the aisle. 2. Messing up the marriage license. There are so many rules surrounding marriage licenses. For instance, some countries or states require couples to apply their licence 60days before their wedding date and there are places that allows 3 months for the pre-wedding license. So, ensure you find out all the Wedding Registry information on how to obtain your license and make sure you allow time for lastminute emergencies. A common mess-up would be not able to complete all necessary steps to apply for the license therefore cost them to postphone or cancel their wedding! 3. Ordering your wedding dress too late. 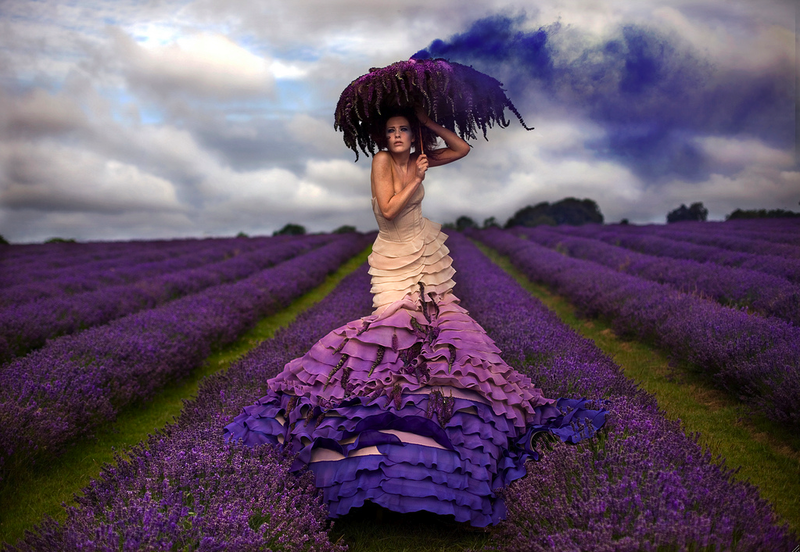 Wedding attire is the most vital importance of a wedding. So, if your heart is set on a couture wedding dress, be sure to order that gown by the six-month mark since your dress will mostly likely be customed-made and, there will be many many times, it will need further alteration and fittings. In addition, even most off-the-rack wedding dresses also require alterations (not as much as the custom-made), however make certain that you have enough time to get the gown fitted properly. Never over-estimate your wedding designer or tailor as you should leave plenty of time for shipping and for the fittings. And this is the same goes for the bridesmaid dresses. Vavava Vooom... 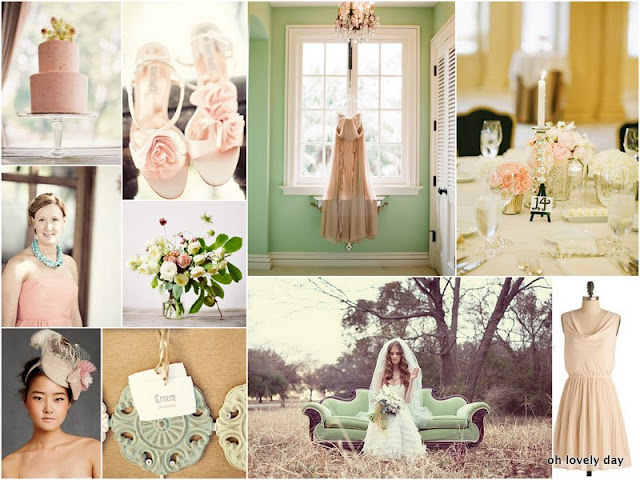 This lovely board really fascinate us with this elegant palette. Today we are feelin' a lil of sea and.. oh boy..Mint Green is so 1960s.. they're full of love, unique, lil bit of decor art, and sooo retro lovely specifically for anything that comes in seafoam green. So classic and we looooves it! (Credit goes to Elizabeth Anne) This board has successfully instil the modern-day seafoam and mint green wedding in this retro compilation, giving me the vibes!! 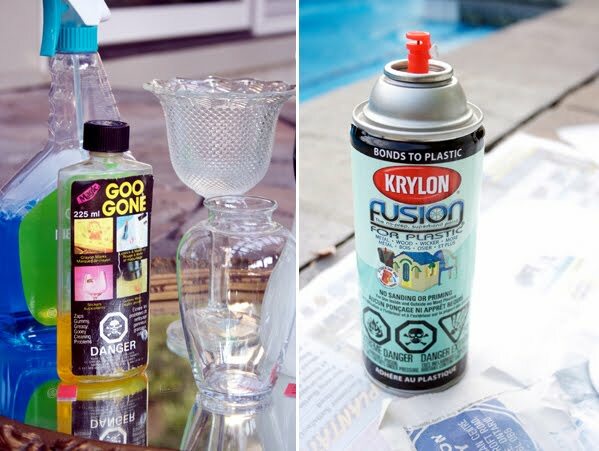 Also read on for more tips to create a retro party! Ola loves! Yay we looove thursdays! cos its lovely Heelsday! And today we got a feel of Valentino heehee. Heloo sweeties! Yippie.. its almost to a weekend! Huhu.. whats not to loooove.. And now we got a bunch of more insprations to share! Today's board, let's credit Branco Prata's blog which features mostly about the Loves loves of Valentines. 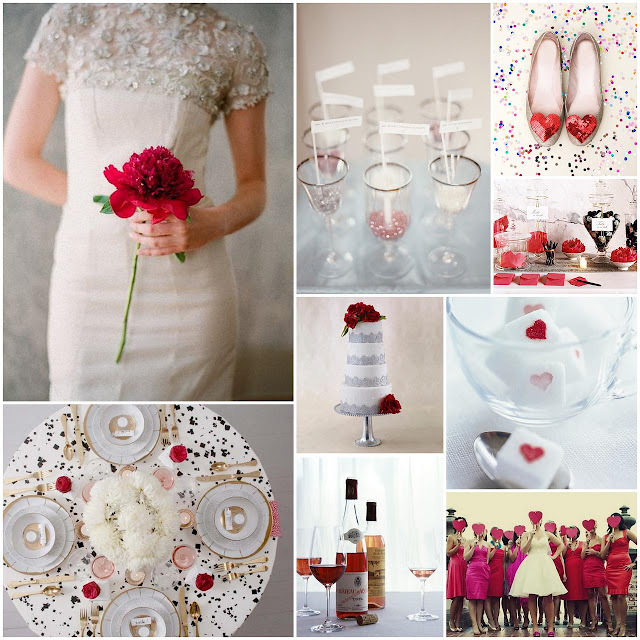 Thanks to this fabulosity, we have become a fan of reds and all about confetti this year. Well.. when we talk about red; we meant ruby red! hehe (another thumbs up for red woot woot) So, time, lets keep everything pretty light and airy and only let the ruby red shine . Also the bird's eye view of black confetti decor table is pretty awesome!! done in love is done well." Hi loves! We loooooves it when there is new trend coming up... and who knew they gona be everlasting for more?,.. I remembered, as i was growing up I wasn't that always a girly girl. My fave colors were blue and my obsession for pink were developed during my college days when i finally learnt how to 'melaram'. 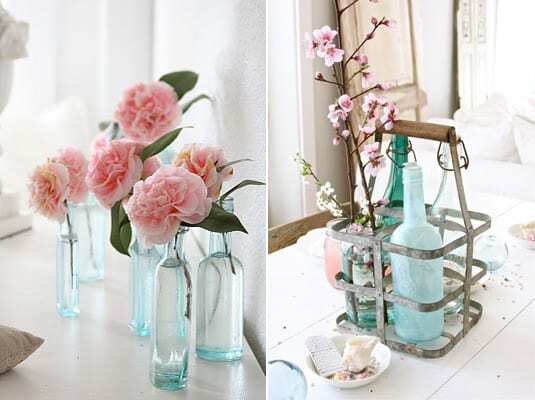 That was when i found pink to be completely irresistible... and when this trend emerge, especially in the form of fluffy romantic flowers tucked inside time-worn vintage glass bottles- how one romantic can i not resist?. Like these lovelies (thanks Wedding Occasion) from Dreamy Whites. Arent they so chic? Awhile ago, our DIY Creatives posted on how to make these lovelies: DIY Pom Poms. 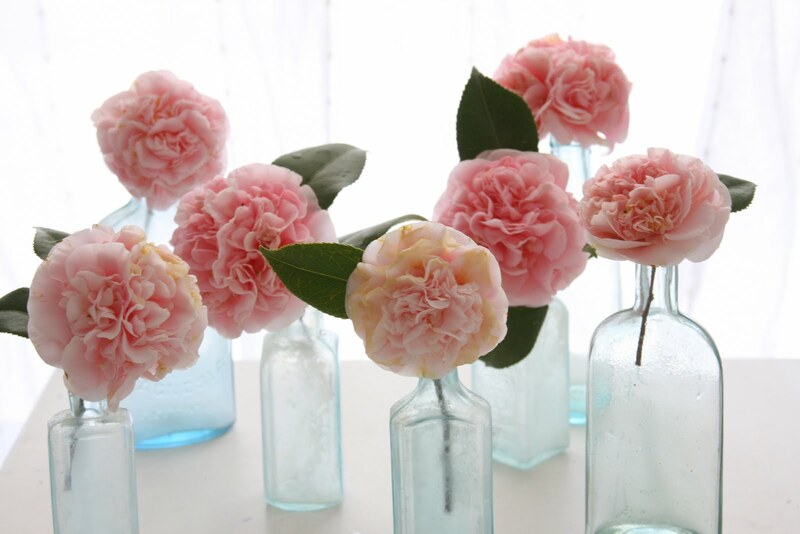 We loves how pretty and romantic a few blooms in assorted shapes and sizes of bottles -- so effortless to pull off. 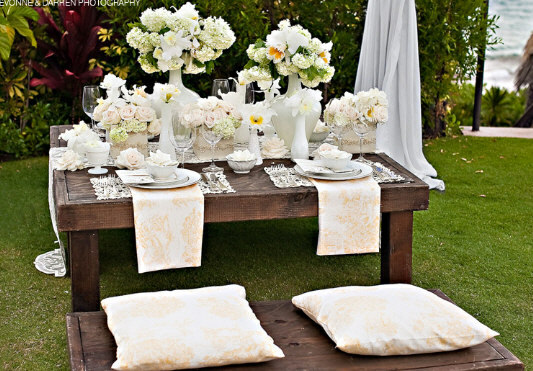 Just imagine how awesome it will look having a lining a long banquet table or grouped together as a centerpieces on classic round tables at a wedding reception. Or lining a mantle in your living room just because you felt like a little something pretty. 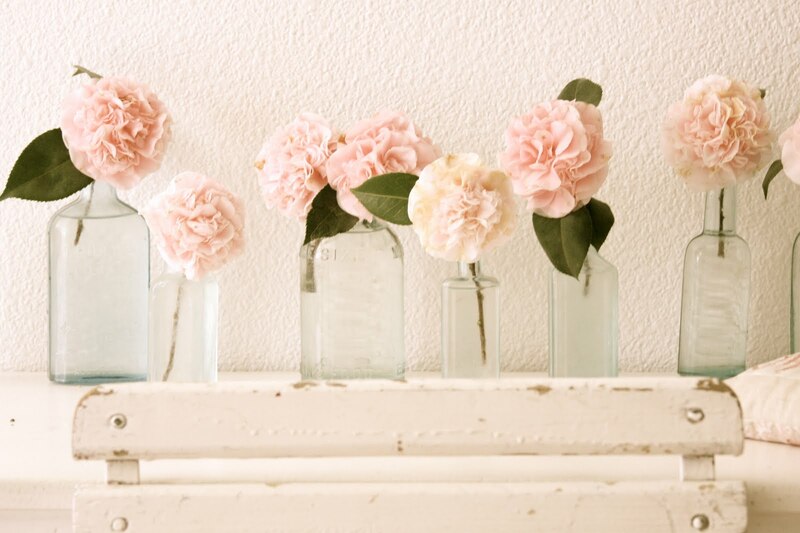 No matter how you do it, we can never go wrong with pretty pink flowers. Credit Photos from Dreamy Whites via Sweet Emilia Jane. Ola ola loves! hows your week? Hope its great so far? What do you think of today's palette? This is one fab inspiration right? The moment we saw a glimpse of this - we knew- they had us at hello. Say vava voom to the gorgeous Christina Hendricks... The ever stunning red haired beauty is perfect for this color palette of coral, tangerine (this year Pantone 2012 color) and soft pink! (my personal fave) – Thanks to Elizabeth Anne, paired this with a dose of lemon yellow and voila you get a fresh and cheerful, bright and sunshiney, and oh, its perfect too for lemonade week too! Things you need: Glasses or vases, newspapers, Krylon white satin spray pain, hairdryer (if you want to dry em fast), glass cleaner. Ola weekends loves! This week Stunning Frocks- we want to share with you these absolutely beautiful ruffles wedding dresses in the market. 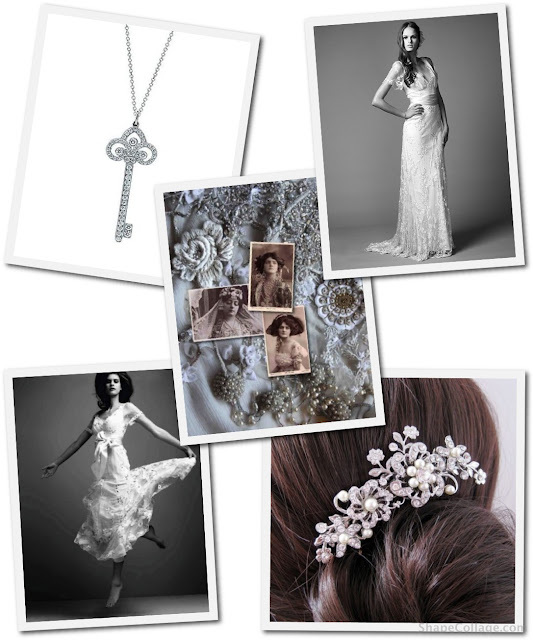 Thanks to designer Lyn Ashworth these lovelies are a dream come true for a bride who wants to create an effortless elegant look, which is so utterly romantic, totally traditional, completely timeless. 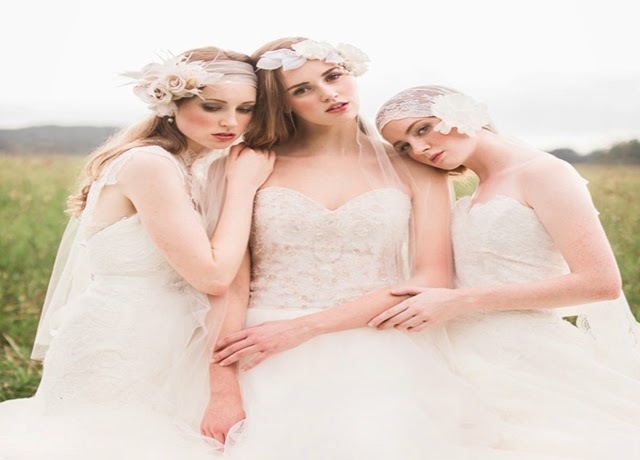 Check out more from her collection at Lyn Ashworth and you'll find the rest of her gorgeous bridal collection. 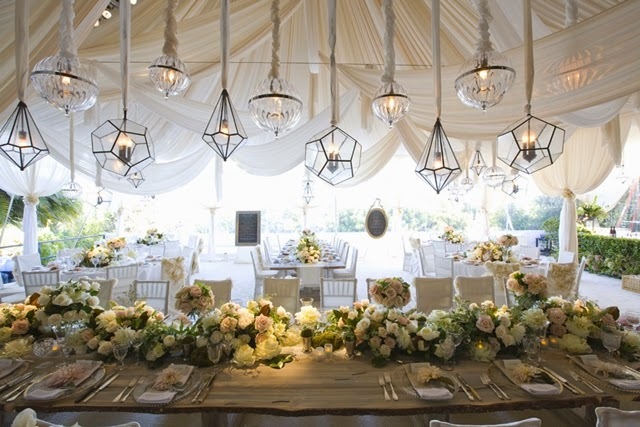 There's something gorgeous about this inspiration we're featuring for today. 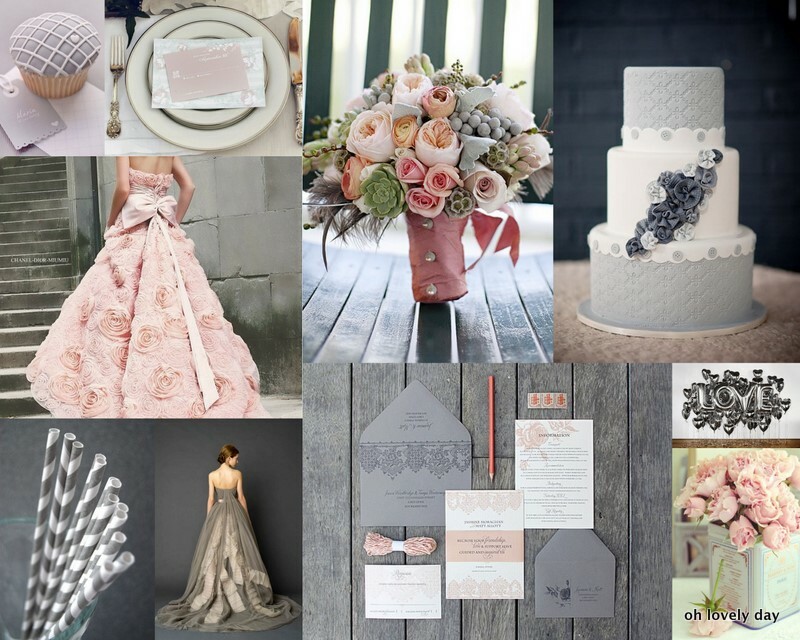 Their beauty is yet so astounding that we never thought grey would come together in these palettes combination. I once thought grey is dull, colorless and boring with the capital B. 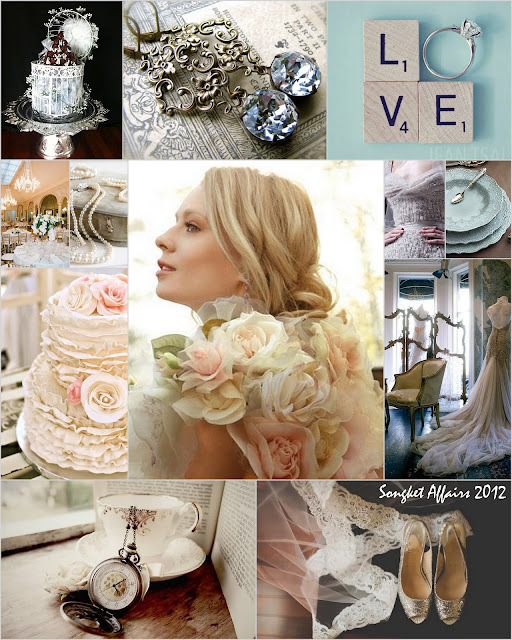 Never knew last year 2011 wedding trends has brought grey back in the market and oh boy... they are becoming more and more popular lately! Well, to be honest - is how we play the theme that creates a fabulous do. Greys can be warm or cool, pairing em' well with bright hues like yellow, or more muted tones - either way they make a natural and unique combo. Thanks to Oh lovely day, they have made grey as lovely as ever! Paired with blush pink- we called em'.... oooohhhh so dramatic and romantic all at once!